Previous rumors indicate that Apple's iOS-based Surface Pro 4 rival could be announced in either September or October. However, we're now hearing that the iPad Pro could make it in time for Apple's media event on September 9, but you might not be able to buy it right away. "The "iPad Pro" (which is actually the planned name of the device) is currently scheduled to hit retail outlets in November, following a pre-order campaign that will launch toward the end of October," 9to5 Mac reported, citing its sources. The publication has been a reliable source for Apple rumors in the past. However, 9to5 Mac is still leaving room open for an October debut if Apple decides to delay its tablets. The publication says that the tablet could ship in early November. Because the iPad Pro is targeted towards enterprise users, Apple may want to iron out its business partnerships before making an announcement. Apple already has a partnership with IBM to bring more enterprise apps to iOS, and Apple most recently announced a collaboration with Cisco. Unlike the IBM partnership, Apple didn't give any information about its ties with Cisco. "If the iPad Pro is indeed shown off next week, sources indicate that the new iPad mini 4 will also be introduced alongisde [sic] it," 9to5 Mac said. The iPad Air, however, may not get refreshed until 2016, but Apple could also refresh its Macs during the September iPhone event. Because Intel announced its Skylake processor refresh at IFA 2016, and PC manufacturers have announced a slew of new notebooks and desktops with the sixth generation CPU, Apple could follow suit at its own event. A JPMorgan analyst told clients that suppliers could start delivering iPad Pro components to Apple partner Foxconn starting in September, adding weight behind the large format tablet's rumored October launch. According to the analyst, the iPad Pro will come with new touchscreen technology, and Apple is recruiting new suppliers to provide components for the highly anticipated tablet. A new glass-film-film, or GFF, touchscreen could be used on the iPad Pro, the analyst said, which would improve the screen's accuracy. This would be an improvement over the current glass-film screen technology used on the current iPad Air 2 and iPad Mini 3. The speculation for a new, more accurate touchscreen technology is consistent with the iPad Pro's rumored support for a Bluetooth stylus. 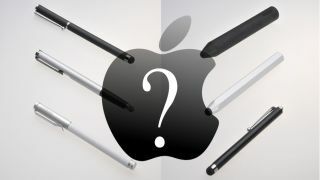 The stylus could make input more accurate, and potentially help Apple compete in the pen-dominated space that's occupied by Samsung's Galaxy Note Pro 12.2 and Microsoft's Surface Pro 3 slates. And for the first time, touch, display and assembly of the screen could be controlled by Hon Hai, whose subsidiary Foxconn is an Apple partner that assembles iPhones, Macs and other Apple products. There have been conflicting rumors on when Apple will debut the iPad Pro. Early rumors suggested that the tablet may make it in time for Apple's unveiling on September 9. In addition to the iPad Pro, Apple is expected to reveal refreshes for Apple TV, iPhone and existing models in the iPad franchise at that event. However, more recent rumors suggest that the iPad Pro won't be announced until October. If this is the case, industry observers believe that availability will come soon after the announcement. According to the analyst note, Apple is expected to produce one million units of the iPad Pro each month for the remainder of the year. As with most Apple product launches, inventory may be constrained at launch, so there could be delays in shipment times for those who don't pre-order early. The iPad Pro is expected to be a productivity-centric tablet, likely catering to business users who want a laptop replacement. Apple had focused on productivity features when it unveiled iOS 9 earlier this summer at WWDC 2015, like split-screen multitasking and picture-in-window videos. Additionally, iOS 9 will come with an improved on-screen keyboard and better support for Bluetooth keyboards, features that will benefit a larger tablet. The iPad Pro is expected to have a 12-inch display, with leaks suggesting that the screen can go up to 12.9 inches. The screen is rumored to have a resolution of 2,048 x 2,732 pixels, an increase from the 2,048 x 1,536 pixels on Apple's current Retina display slates. Stereo speakers for multimedia consumption, a stylus for content creation and even a new USB-C port round out some of the rumored features of the tablet. There is no information on pricing for the iPad Pro at this time, but it is expected to cost more than the $499 (£325, AU$702) starting price of the iPad Air 2. For comparison, the 12-inch Surface Pro 3 starts at $799 (£520, AU$1,124). That tablet runs the full version of Windows and includes an N-Trig-based Surface Pen digitizer but doesn't ship with the optional Type Cover keyboard case.